This is your chance to own a piece of MMA History! 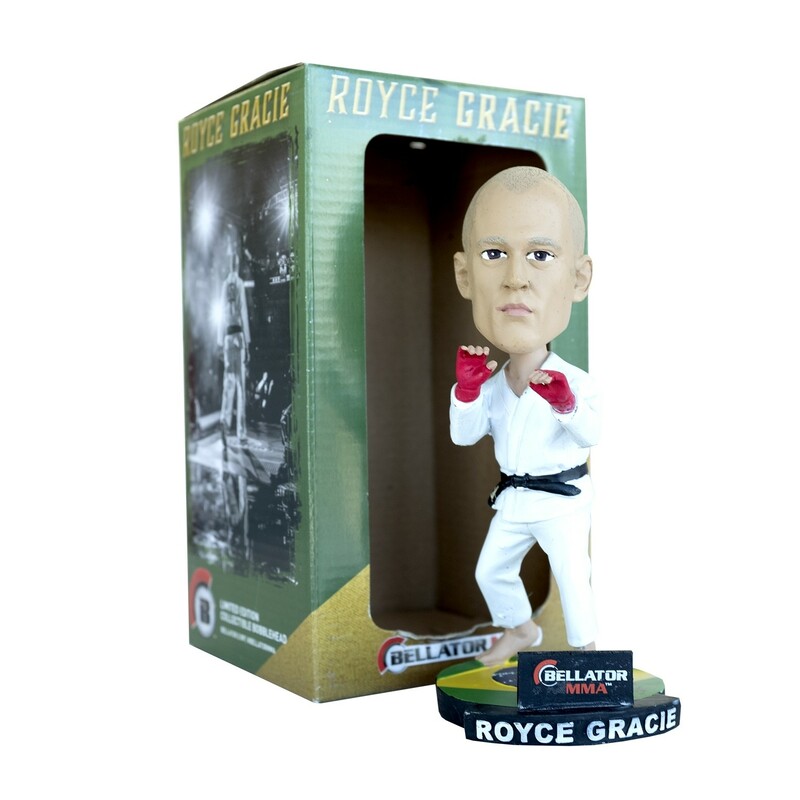 Get your Limited Edition Royce Gracie Bobblehead now! The name Gracie is synonymous with MMA, due in large part to Royce’s celebrated status as a MMA and Brazilian Jui-Jitsu legend. Quantities are very limited, and these won’t last long! This is your chance to own a piece of MMA History! Get your Limited Edition Royce Gracie Bobblehead now! The name Gracie is synonymous with MMA, due in large part to Royce’s celebrated status as a MMA and Brazilian Jui-Jitsu legend. Quantities are very limited, and these won’t last long!